Buyer Alert. Very private yet close. This property is for those who prefer no sidewalks or street lights. 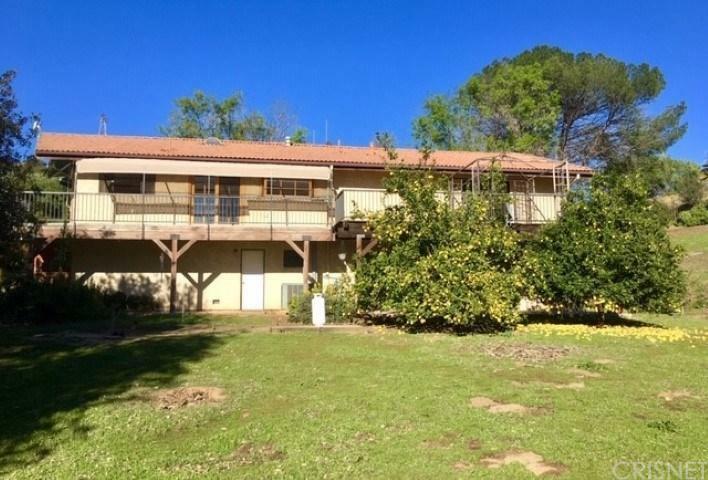 This property requires a buyer willing to go off the beaten path and likes life on their own terms. Paved road for access. Use Rocky Peak Exit from the 118 freeway to view. 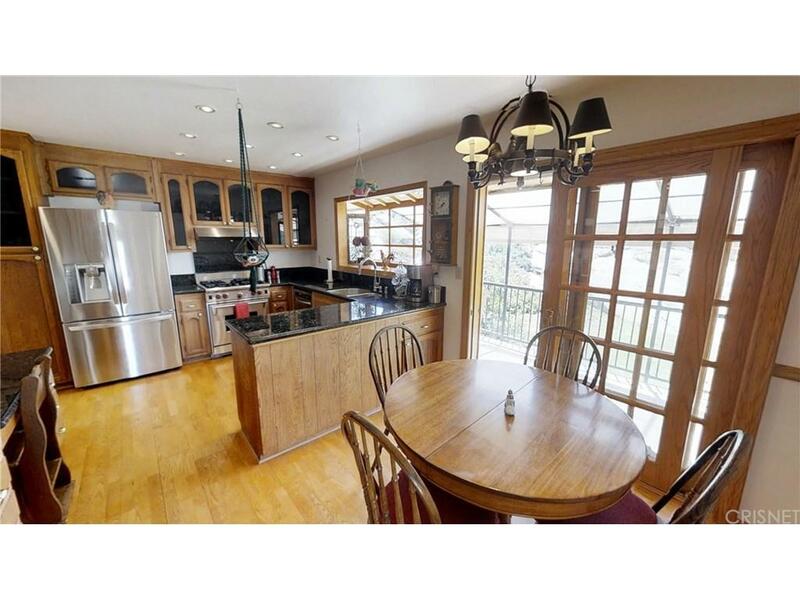 Eat-in Kitchen includes stainless steel appliances including fridge, stove and dishwasher. Eat-in Kitchen with tons of cabinets for easy storage. Some features include vaulted ceilings, custom fireplace, wrap around deck, Central HVAC and outdoor patio oven which looks perfect for cooking a pizza! Upstairs has 3 bedrooms and 2 baths. Down stairs has 2 bedrooms and 1 full bath plus huge bonus room with bar. Downstairs might be easily converted to an Accessory Dwelling Unit too if desired. This is a traditional house. 2-Car Direct Access Garage. Beautiful unique area. Move in ready yet needs a little TLC like carpet and paint. First time on market. 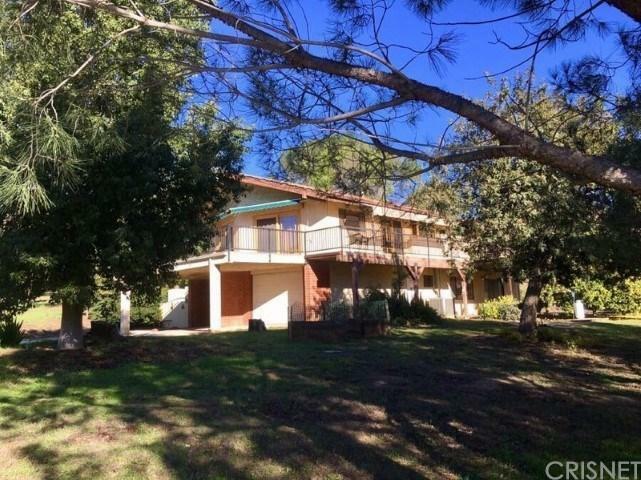 Do you love the out doors, appreciate hearing the birds sing, want to pick fruit from your own mature Lemon Trees or love to go hiking, horseback riding or cycling right out your own front door? Seeing is believing. Standard sale. View. Submit. All offers will be reviewed. 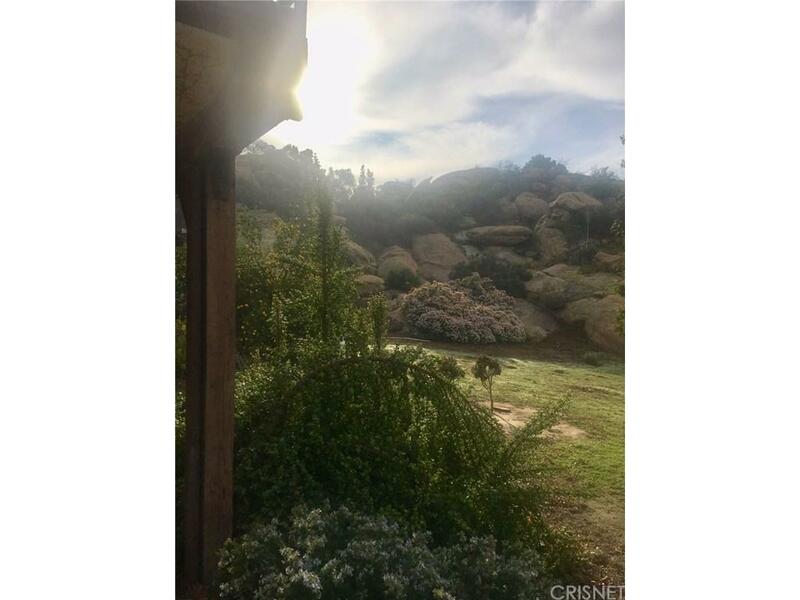 Listing provided courtesy of Kathy Wales DRE#01243378 of Dilbeck Real Estate.